small + tall is a boutique winery focusing on limited production Pinot Noirs & Chardonnay’s from the cool growing climate of the Sta. Rita Hills and Santa Maria Valley. We know great wine starts in the vineyard, so we carefully select our fruit sources to assure that small + tall can achieve great results. The grapes are then hand-nurtured in small lots to gently coax out delicate flavors and aromas. Our wines are a mix of native and hand selected yeast fermentations, which helps us bring out all the natural complexity of the fruit. The Pinot Noirs are barreled aged on the lees up to 15 months in French oak, then racked and bottled without filtration. The Chardonnays are a blend of native yeast neutral oak barrel and stainless steel fermentations. With this regiment we strive to allow the brighter, natural aromatics of the chardonnay grape to show through. We strive to highlight the unique flavor character specific to each vineyard we source from. We hope you enjoy our wines and that you will continue to join us in the coming years as we grow a little taller as we go. Small, not tall, Joanne developed a curiosity for wine as a child while watching her Italian immigrant grandfather tend to his wines in his Michigan basement. Still small enough to play in the wine press but not tall enough to drink, she didn’t get to sample much of his wine. 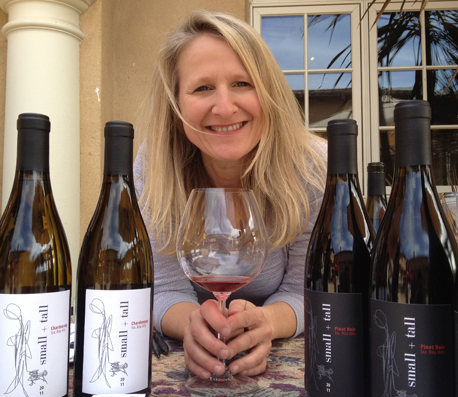 In 2011, after much imbibing and study, she decided to step it up from award-winning hobby winemaker to pro. Along the way, she gained her chops while volunteering and interning for winemaker Peter Hunken at his small Central Coast wineries Hocus Pocus and Holus Bolus. As luck would have it, she met Wes Hagen of Clos Pepe Vineyards and eventually became intern-at-large with the master winemaker. 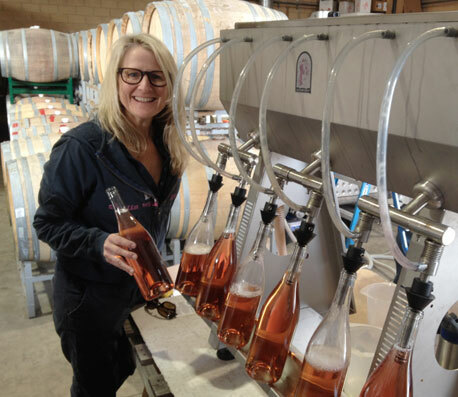 Hours and hours of questions and sage answers followed, and after two growing seasons and long nights of harvests, Joanne started making wine on her own. With passion, curiosity and a sparkle in her eye, she’s looking forward to growing a bit taller in size and knowledge with every new vintage. 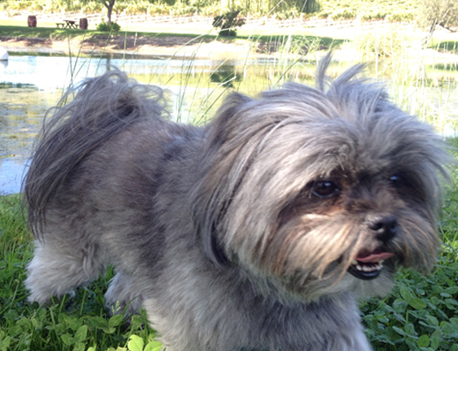 This little nugget is the heart of small + tall. She’s always good for a hug and a smile. Although she’s not much of a drinker, she enjoys when her mom takes her to fun places with nice people and lots of space to run. Joanne studied and earned a Vintage Certificate from UCLA, gained her credential as a Certified Specialist of Wine from the Society of Wine Educators and studied chemistry at UC Davis. 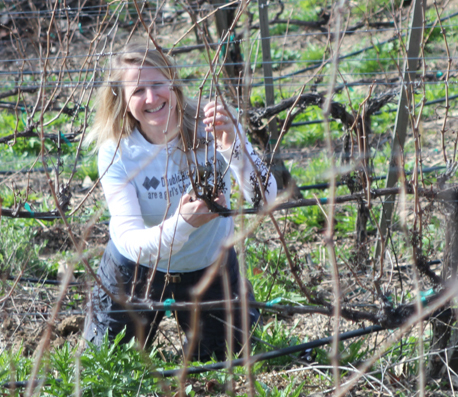 Continuing her education as part of a dedicated Cellarmasters team, Joanne participated in the rehabilitation of a 280 plant Chardonnay and Merlot vineyard that had been left for dead.